See the table below which shown the distance in miles from airports close to London. It also shows the flight times of our helicopters when conducting a Helicopter transfers or Helicopter charter into Central London. Battersea Heliport is the only Heliport giving good access to central London. 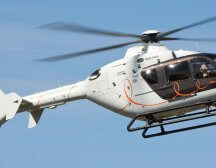 for mor information on airpor t transfers or Helicopter charter please fill out our helicopter charter request form.